We talked with 350 and Hollaback! about how they open campaigns and balance autonomy with facilitation in a powerful approach to distributed campaigning. 350.org and Hollaback! are relative newcomers to the world of cause campaigning but have experienced an explosive rise in following and impact since their founding. Their distributed approach to movement building seems to have been a key factor here but unlike other distributed movements that rose quickly and faded just as fast, their growth is steady and sustained. Are these groups on to something? What follows is a closer look at how Hollaback! and 350.org are making distributed action work for them. In Manuel Castell’s Networks of Outrage and Hope – an analysis of distributed movements from the Arab Spring and the Indignados through Occupy Wall Street – the author attempts to map the forces behind new horizontal uprisings. Castells first talks of emotional triggers built into the causes themselves as important drivers of spontaneous mobilization. Beyond the causes, Castells focuses on technology (social networks) as an enabler of remote organizing and the autonomy of self-starting groups as being key factors behind the momentum these movements have generated. The movements Castells writes about rose and fell quickly, while 350.org and Hollaback! are still going strong years later. These two campaign-based organizations seem to draw from the horizontal logic and tactics of Occupy while capitalizing on new networked technologies. Both also claim to be facilitating the rise of grassroots-led movements. Despite the relative autonomy of their local chapters, however, a closer look at the operational structures behind Hollaback! and 350.org reveals a good amount of top-down framing and central leadership. Want to hear more about distributed & open campaigning? Catch up on our MobLab Live conversation with Marisa Franco and Jason Mogus, activists and strategists involved in TckTckTck and the #Not1More anti-deportations movement. Map shows the range of 350-affiliated local groups that are campaigning on divestment and other climate issues. Explore the map in detail at 350.org/map. When it comes acting on these causes, Hollaback! and 350.org have carefully framed responses to issues for their members while making sure that proposed actions are straightforward and doable. In its Take Action guides, Hollaback!’s HQ builds on years of organizing to pull together best practices for new members. Their guide leads newbies through a series of simple entry-level actions, such as sharing their stories with the community or organizing a ‘chalk walk’ to the wholesale activation and leadership of a new Hollaback! local chapter. Hollaback! video shows potential activists how to do a Chalk Walk — part of an extensive collection of Holla How-To Guides the organisation makes available. 350.org, for its part, has centrally planned and conceived climate action ideas for its followers from the start. 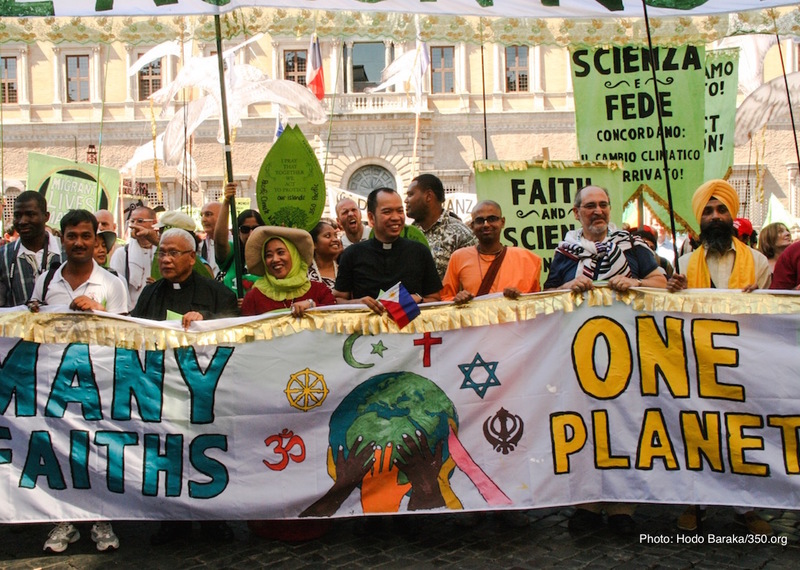 Beginning with their Global Day of Climate action in 2009 through the People’s Climate March and the Fossil-Free Divestment campaign, 350.org has been clear about what its members can do on their own turf to fight climate change. Earlier expressions of distributed movement building, including the worldwide Occupy movement, were self-organizing and adopted radically horizontal management structures. Unfortunately, they did not have staying power. 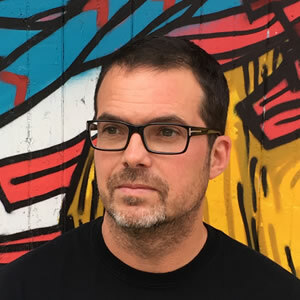 The problem with these previous cases was too much local autonomy according to Professor Todd Wolfson, author of Digital Rebellion and once an active Indymedia organizer himself. This organizational weakness, Wolfson believes, is one of the “…significant factors that has led to the lack of sustainability” of these short-lived movements. Some organizations have taken a more cautious approach to access the potential of do-it-yourself grassroots power. 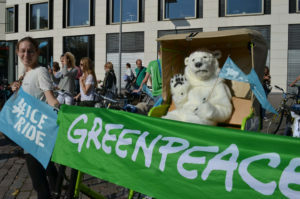 The groups covered in Mobilisation Lab’s Grassroots Led Campaigns report – including Avaaz.org, 38 Degrees and MoveOn.org – provided spaces where members could initiate their own online petitions and drive a limited series of actions around them. As the report notes, grassroots-led petition initiatives have increased participation and driven larger membership numbers for these organizations. Still, many groups using these distributed tactics have not moved very far beyond list building and online petition advocacy. In their approach to distributed organizing, Hollaback! and 350.org seem to fall somewhere in the middle of the spectrum between the radical autonomy of Occupy and the highly-restricted autonomy of petition networks. In what can be described as a “hybrid approach,” 350.org and Hollaback! maintain top-down leadership on strategy and movement capacity building while allowing local groups a fair amount of autonomy on tactical issues and creative freedom to adapt identity and events to local culture. 350.org and Hollaback!’s members can self-start local chapters that plan and execute actions both online and offline. These local movement nodes organize physical events, recruit new members, lead their own communities and do their own media outreach. When questioned on their decision to allow this level of local autonomy, representatives of 350.org and Hollaback! both claim that they chose this model out of necessity. For 350.org, this approach has been there from the very beginning as “part of its organizational DNA” according to Digital Director, Jon Warnow. “There’s no way our relatively small staff could have effectively run a ‘command and control’ program that relied on top-down administration,” he explains. When distributed action works well, it appears to run on its own. This might lead some to believe that all you need to do is to let loose some action ideas, provide followers with digital platforms from Control Shift Labs or Nation Builder and watch your movement grow. Through a series of experiences in the field, 350.org and Hollaback! have learnt otherwise. In its earliest phase, from 2005-2011, Hollaback! tried a ‘hands off’ approach to organizing. That is, providing an online startup guide and letting local chapters do it themselves with little oversight. Though 20 local sites self-started between 2005 and 2010, only three remained active over time. At 350.org there are times when some of the group’s ambitions seem to have outpaced capacity, notably during the People’s Climate March. Writing in Civicist, Jessica McKenzie has pointed out that many of the hubs activated for the event have since gone idle, despite 350’s assurances that the march was “about more than just a single day.” This highlights the risks of initiating a distributed structure without the proper staff resources to see it through. 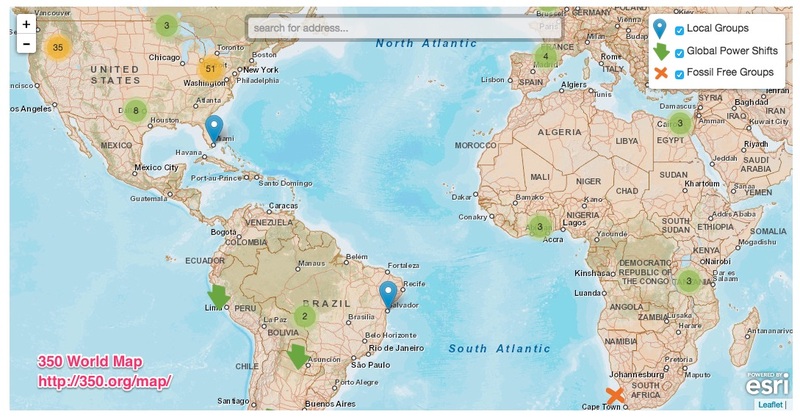 A view of the People’s Climate March Hubs listing page. Many hubs are active while many aren’t or are working to focus their future work. See a full list of hubs here. Since the fade-out of its first batch of chapters, Hollaback! adjusted course in 2011 and instituted a mandatory training program for new chapter leaders, overseen by staff at HQ. In a series of webinars that new leaders follow for three months, Hollaback’s central command provides coaching on cause marketing and branding, basic tech capacity, how to run a campaign and how to talk about street harassment to the media. Using this approach, Hollaback! has now trained over 300 leaders in 26 countries and finds that its chapters are both more active and more stable. 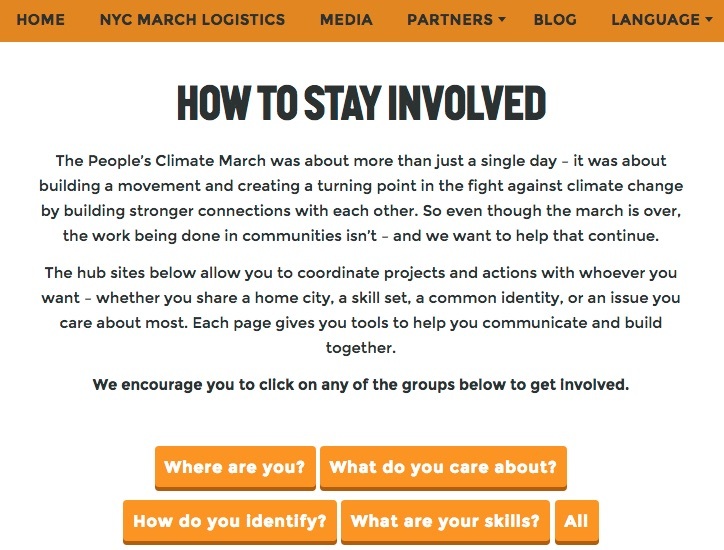 In spite of the lack of resources given to hubs after the People’s Climate March, 350.org is generally hands-on when it comes facilitating and managing its distributed networks and a point person is assigned this task for each campaign. Louise Hazan, 350.org’s European Digital Campaigner, recently spoke to Mobilisation Lab and described her role in bringing together collective activities for the Global Divestment Day in February of 2015. Her duties included planning and writing email calls to action for all chapters and preparing the online infrastructure and digital toolkits that participants would use to self-organize. Beyond this, 350.org’s central facilitators spend a good amount of time training and coaching their local hub leaders and also curate and share content coming from different nodes with the larger community of organizers. A compelling cause and action framework Central leadership frames the “Action Worthy Problem & Solutions.” Proposes action ideas to activists that are concrete and doable. Freedom to appropriate and customize Local leaders and local chapters can self-start and adapt the movement to reflect their reality. They can modify messaging and action ideas to appropriate the movement and to better suit local contexts. Self-serve tools and top-down facilitation Central leadership prepares digital infrastructure, research and campaigning tools for activists. Staff is assigned to facilitate induction of new chapters and spends time training and building capacity with new leaders. Looking back on the very brief history of distributed campaigning, it is still too early to nail down a definitive recipe for success. Still, the movements and organizations that have experimented with it in successive waves have shown organizers the relative benefits of different approaches. While spontaneous movements such as Occupy Wall Street may have been too autonomous for their own good, it’s clear that leaving more freedom up to local groups has its benefits for cause-based organizations. Both 350.org and Hollaback! succeeded in growing robust global networks of activists in much less time and with much fewer staff than traditional top-down NGOs. Their “hybrid” approach to distributed campaigning, a mix of strategic guidance and training from the top with a good amount of local autonomy, seems to be at the heart of this growth. While we wait to see other models emerge, it will be interesting to watch what other organizations give the hybrid approach a go.